I really liked how this arc started, so I’m holding onto hope that this will correct itself. 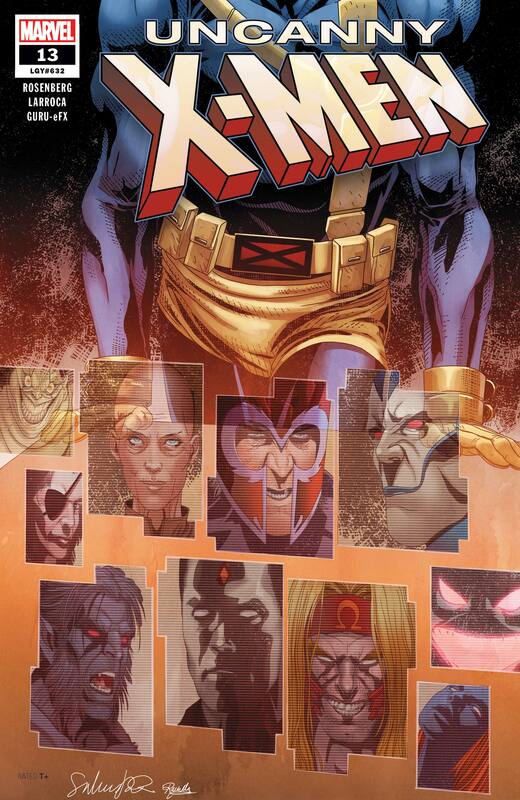 But seeing the 90s costumes, Dark Beast and the issue-ending Mutant Liberation Front is starting to make me worry that this is a calculated trip down a lane of memories that I am in no hurry to revisit. Speaking of revisiting unpleasant memories, that leads me to Batman #66, where we’re back to plodding around inside Batman’s subconscious! 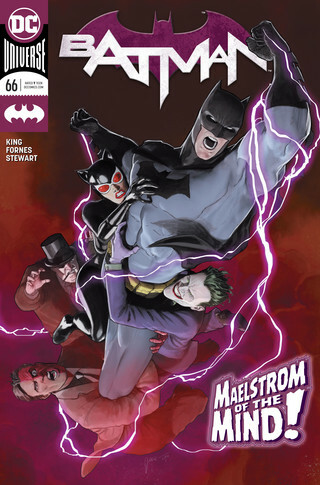 I was annoyed with the past couple issues taking that Flash-crossover detour, and now we’re back to Knightmares, the arc that is just a bunch of people in Batman’s mind having conversations. This will probably read really well in one sitting but it’s boring me silly in the process. You know what I kept thinking about as I read this issue? How much I loved The Question. I liked Montoya as a character a lot, but I didn’t enjoy the post-Vic Sage version of the Question nearly as much as I liked the Montoya version (which wasn’t much). I honestly don’t know who The Question is in the New 52 or following Rebirth. Anyway, this referred back to Catwoman’s break-off of the wedding to Batman, and I do appreciate and admire Tom King’s long-term planning and storytelling, but the writing here seems to forget the serialized nature of the medium. This situation with Bane was building and the tension was rising and … then we’ve spent a few months sitting in Batman’s head. Granted, I’m no successful comic book writer—calm down, it’s true—but I admire the craft of the writers who structure stories where you can have the slow moments supported by plot progression through interplay between flashbacks and parallel stories and whatnot. Then again, I don’t pay a ton of attention when I read, so it’s entirely possible that this story is actually moving along and I’m just not picking up on it. Speaking of memories of The Question and other Charlton Comics characters, either directly or through a funhouse mirror, that leads me to Doomsday Clock #9. I’m not going to attempt to do a thorough write-up of this issue; there are people out there with much more attention to detail and much more patience than I have who are doing incredible jobs of picking up on the cues and clues that Geoff Johns is leaving in this series. If you’re someone who appreciates that kind of thing, I highly recommend googling something like “annotated Doomsday Clock,” because there are some people doing truly fantastic work on that front. While I absolutely admire detailed and thoughtfully crafted stories—so I applaud Johns for his efforts, and he’s got a worthy partner in Gary Frank when it comes to meticulously structured and beautiful panels—I also want the stories to make me feel something. And mostly, I just feel annoyed that the history of the DC universe is being rewritten for another of Geoff Johns’ nostalgia trips. Nothing here resonates with me. It all feels like it’s screaming “I WILL BE UNDONE BY A SNAP OR A BLINK OR SOMETHING” and its purpose is only to serve the novelty of merging the Watchmen and DC worlds (and for what it’s worth, I did get a kick out of the Charlton characters charging at Dr. Manhattan). I moved halfway across the country about a year and a half ago, and when I did that, I decided to give up my comic book habit. Comic books take up space I didn’t have in my new tiny apartment, and I hadn’t committed to reviewing them in a long time, and I was doing a whole lot of buying-and-not-reading before I moved. So the divorce felt natural. 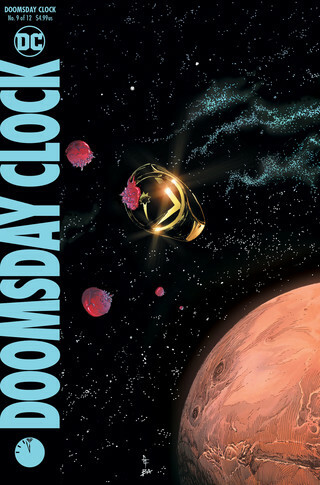 I gave up on giving up for two reasons—Dark Nights:Metal and Doomsday Clock. That was almost a year and a half ago and we’re only on issue number nine. Speaking of wedging characters that don’t really fit into a realm they don’t belong, that leads me to Avengers #16, where the Avengers continue to fight vampires. We pick up from last issue’s invasion of the Avengers’ dead-celestial headquarters by the undead evil vampire team, which also involved possessing Ghost Rider, who is already possessed—so there are a lot of layers at work here, my friends. Much of this issue is just fighting, fighting, gaining the upper hand, losing the upper hand, fighting, blah blah blah. And that’s not a complaint—that’s where we are in the story. And I’m glad we’re at that point, because I am getting a little tired of this vampire arc. It’s been nice but like most immortal things, it’s lasting a little too long for my liking. But we find out that not only has Dracula sold out to the Russians, but the evil vampire team’s plans don’t stop at “wiping out the weak vampires”—they’re looking to build a whole new crew of meanies. Fortunately, it looks like next issue will end this arc. 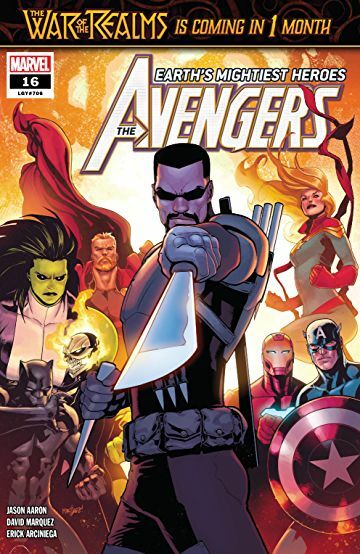 I’ve overall enjoyed it, but sometimes it feels like it was just a vampire story shoehorned into the Avengers.